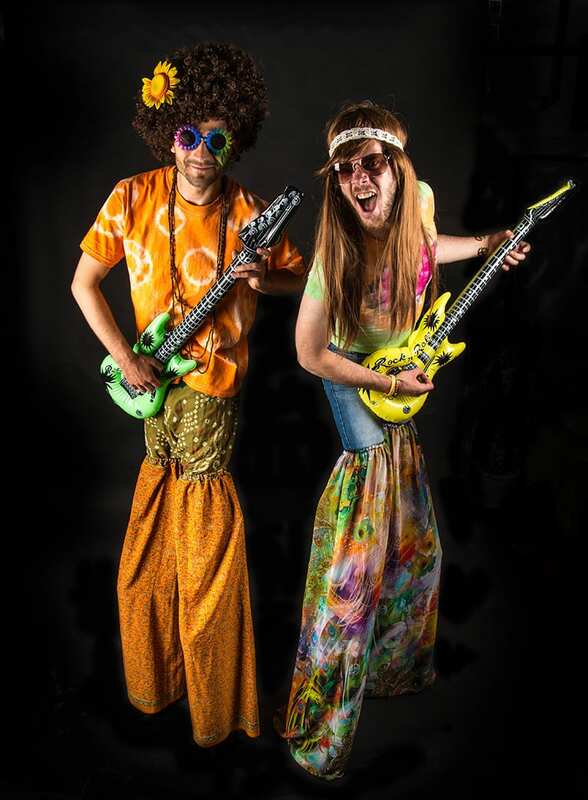 Bring the swinging sixties back into fashion with our groovy walkabout act! Meet Bob the Hippy, Cruise the Rocker and Peggy the MOD in this sub-culture extravaganza. With bubbles, daisies, and guitars they make the excellent accompaniment to any rock and rollers, festival goers or those wanting to re-live the summer of 69. 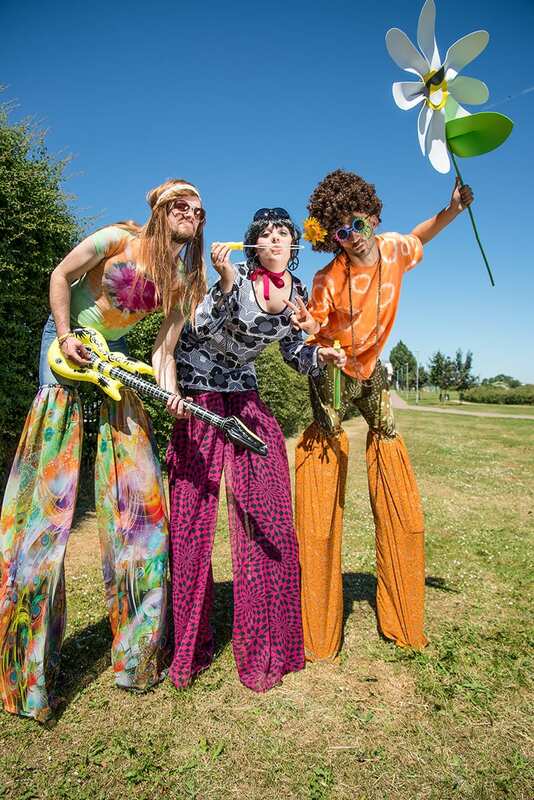 Great for photos and with funky audience interaction they can be on foot mingling within the crowds or towering up high on stilts. You’ll soon find with this funky lot that love is all you need! 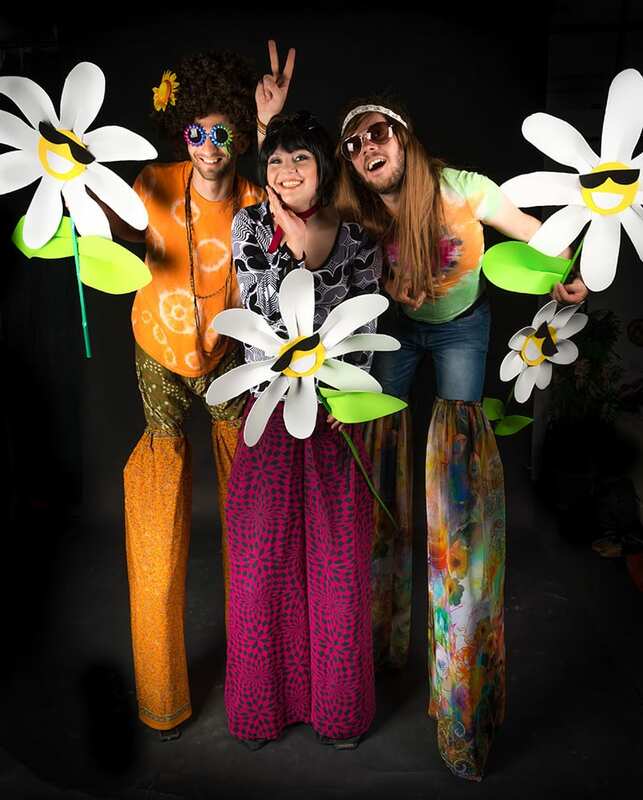 A flavour of the sixties with groovy characters to bring the hip to any event! 3 Actor walkabout with audience interaction, bubbles, blow up guitars and sun lovin’ daises. Stilts are optional, props are optional.